On the Starecta website and on our YouTube channel you have found numerous testimonies and photos of people who have radically changed their health condition both from the aesthetic point of view and daily wellness. Kyphosis and Lordosis straightened like never before, more symmetrical faces, chronic pain that did not go away with medicines, disappeared. All this happened thanks to an extraordinary product that works on the postural biomechanism of the human body. 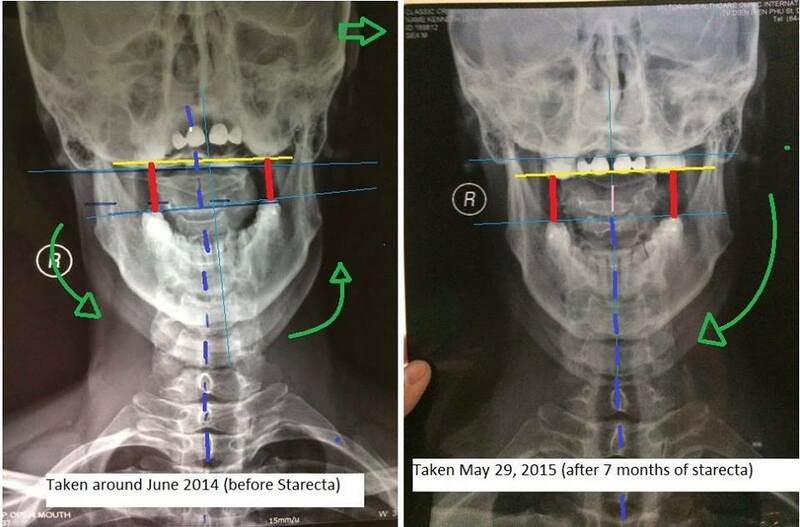 If you see yourself in the testimonies and photos of these people, I have good news for you: these people have not achieved these results by spending much money, but they have bought a tool that lets the body work in symmetry, restoring the correct relationship between the skull and mandibula. This tool is the Rectifier! I am already starting to feel some changes. Blood flow through my face is improving, my nose which had been snotty for months has suddenly opened completely, I seem to be waking up a less stuff pinching neck every morning, etc. Hope to see a steady line of improvement. My skepticism is slowly being relieved. Will keep you updated. Day 2 and I am already feeling results. Both mornings my back has felt like it’s gotten a good stretch. My neck feels less tight. And everything from the torso up feels looser. Since a fall I had in 2012 my back would crack many times every time I would straighten it. Now it feels as if I already straightened and cracked my back. I can’t get it to crack and pop until the middle of the day after having the rectifier out for a while. I definitely can feel the rectifier is still working I now notice my jaw and chin line is more visible as I didn’t even feel like I had a chin or separation from my neck before I feel it in my face and shoulders more now and muscles twitch and spasm more in my neck and face. I know I still have a ways to go Before my left side of my jaw evens out with my right. I am sore and tired but I know I have to keep pushing through because the end results are going to be life changing! I joined Facebook and this community so I could share my experience with the Plug and Play thus far. I am a 22 year old male and have been using the Plug and Play since the middle of June 2018. I have been following a hard method, getting 17 hours of use minimum each day. My overall first impressions of the device were very positive. Simple to prime and administer. -My jaw no longer pops or gets stuck in any serious way when I move it around in all directions. This happened quite quickly and I have to say it went by unnoticed at first. However, for the first 2 to 3 weeks, my popping symptoms got much worse. It was actually painful to eat and the amount of popping concerned me. All this has subsided now and my jaw is functioning better than it did before, so I am very happy about this. So if this happens to anyone else just give it time and let things get adjusted to the changes taking place. -A constant reminder to watch my posture and to keep my tongue at the roof of my mouth. It can be easy to slack off on these areas, but the device certainly aids in keeping your mind on these things. So far those are the most important changes I have noticed. This is a marathon and I am already very encouraged by the positive signs. The main downside to the Plug in Play for me is that it does interfere with talking to a degree. I spend a fair amount of time talking on the phone and with people for work, and it can be difficult at times. It can get in the way of the tongue. But, once you get over the initial awkwardness of it and give it less and less attention, so will anyone else. The device is definitely worth whatever minor inconveniences it causes. That’s all for now folks. Thank you for reading and I hope this will inspire others. Perhaps one day I’ll post some pictures. I have listed only few of the hundreds of testimonies we have on the website, in the community and YouTube channel of Starecta Planet. As you may have noticed, in all these testimonies people manage to straight their back effortlessly and without pain, they also feel the neckless tense and lighter. Everyone notices more energy and vitality thanks to the restoration of a natural correct posture. Everyone I stalking about a revolution that happens in their bodies, that is the revolution that happens when you wear the Rectifier. Thanks to this tool you can also not only improve but literally heal your posture and start to feel the same beneficial revolution that all the people who bought the Rectifier have experienced. How does the Rectifier work? The Rectifier is placed in your mouth between the dental arches to restore the correct cranial mandibular relationship thanks to the leverage effect. In practice, it is a particular type of dental bite that makes working skull and mandible in symmetry. Subsequently, the musculo-skeletal symmetry acquired by the correct cranial and mandibular relationship passes to the rest of the body through the occlusal signal (when the upper and lower teeth are in contact with the bite) and swallowing. In practice, all the muscles of the body will be forced to work in symmetry. As a result, the short side of the body stretches and the weak side of the body becomes stronger. Let us try to analyze what happens to our body -when we wear the Rectifier- on three levels: frontal, sagittal and transverse. How the Rectifier works on the body on the frontal level. Our skull relates to the jaw through the occlusal level, that is the teeth. By observing our face in the mirror it is possible to see asymmetries that are generated by the asymmetries of the heights of the jaws or of the maxillary bone. 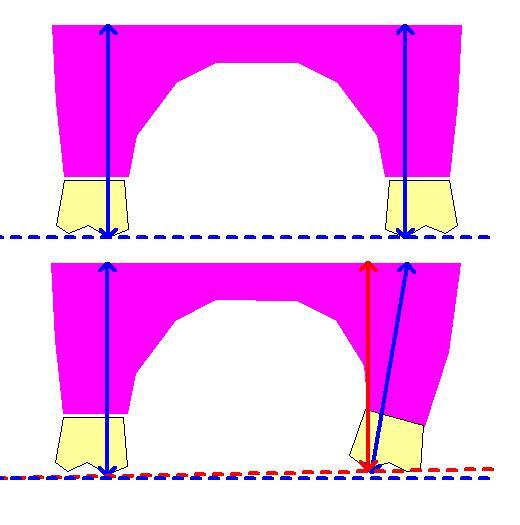 In a nutshell, one side of a teeth row is higher or lower than the opposite. This creates a craniomandibular disequilibrium and creates also a muscular imbalance of all the muscles that make up the stomatognathic apparatus. The Rectifier gives the balance and biomechanical symmetry to our mandibular-cranium relationship. The masseter and temporal muscles work so in symmetry and give a symmetrical image to the whole face. The Rectifier pushes the skull toward an ideal postural position. The skull, carried in its ideal position, pulls towards itself the spine so as to straighten possibly accentuated kyphotic and lordotic curves. The effects on the transversal level: it is as if the body is twisted on itself and the Rectifier helps it to unwind, just as you uncork a bottle cap. So what are you waiting for to try this tool?